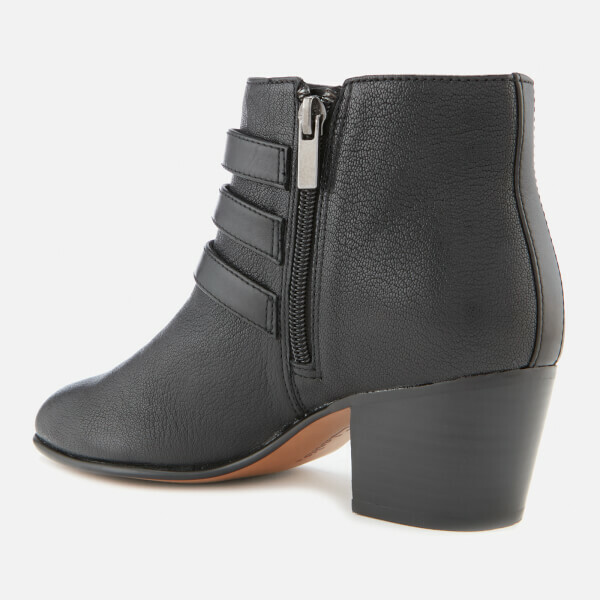 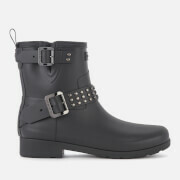 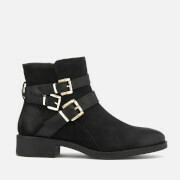 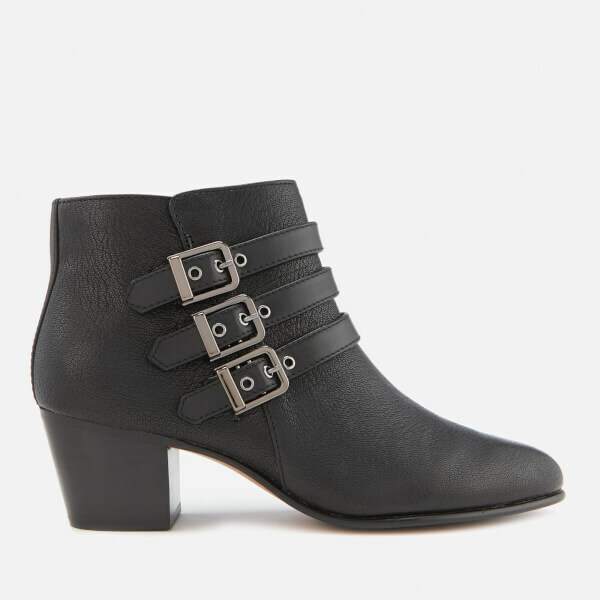 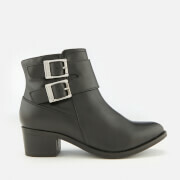 The Clarks ‘Maypearl Rayna’ ankle boots are crafted from black grained leather with a biker-inspired design. 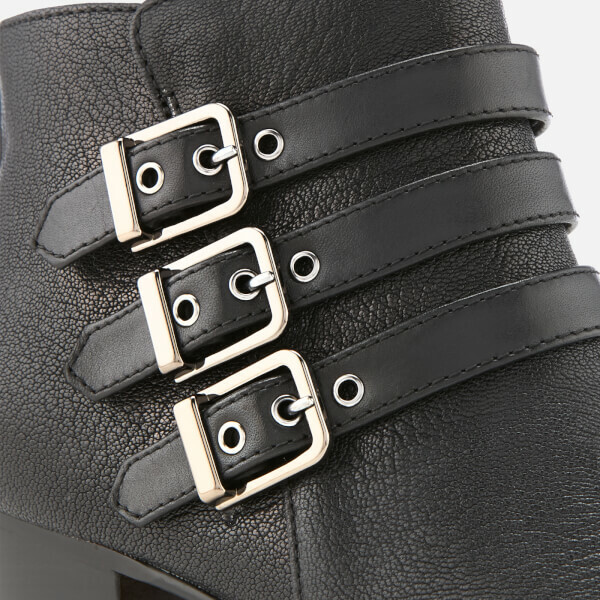 Triple buckle detail adds to the motorcyle look and an inside zip enables you to easily get them on and off. 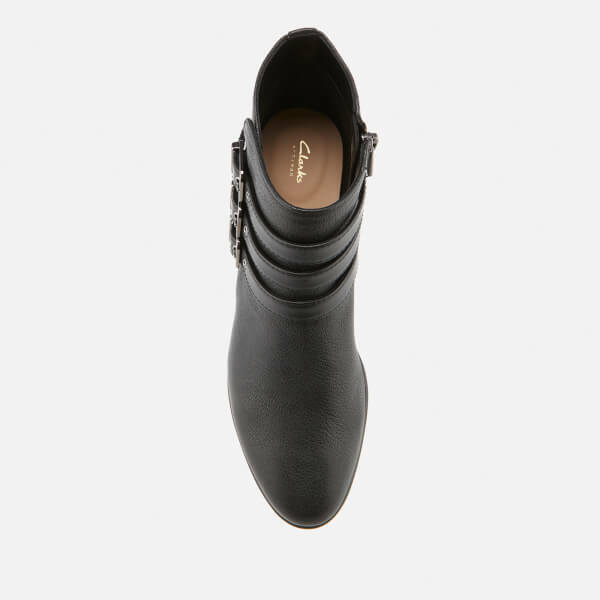 The slip-on boots sit on a durable rubber sole with chunky block heel. 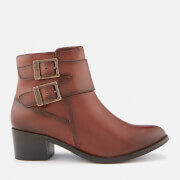 Complete with a moisture-wicking Ortholite® footbed for breathable comfort.